Freeport has been designated an official Texas Main Street City. The Texas Main Street Program, part of the Texas Historical Commission's Community Heritage Development Division, helps Texas cities revitalize their historic downtowns and neighborhood commercial districts by utilizing preservation and economic development strategies. Historic downtown Freeport is being lovingly restored. Located between the banks of the Brazos river and the shores of the Gulf, this newly discovered jewel is rebuilding the splendor of it's past. After a day of offshore fishing, beach combing, bird watching, or a host of water sports, come visit the specialty shops including art galleries, nautical supplies, antiques and crafts. Stop by one of the fine restaurants offering everything from award-winning seafood, authentic Mexican food, or home barbecue. Freeport offers many attractive accommodations in the city, with hotels, motels, condominiums, and bed and breakfasts. The city has several public boat ramps for the convenience of it's visitors as well as charter and party boats services. So come on down and enjoy a day or two, you may even be tempted to stay a while. Freeport also has a large picturesque shrimp fishing fleet which helps supports the local economy with jobs as well as much needed tax revenue for the city and two of only a few of the nations net manufacturing businesses are located in Freeport. You can also spot many shore birds feeding in the vast marsh areas that line the roads, on the way to the coast. I almost always see an Osprey or two near the Freeport bridge. During the annual Christmas bird count Birders from across the nation gather at Freeport, and the surrounding area to identify the many species that are present, and include them to their lifetime bird count. Truly an outstanding birding location, Freeport ranks as one of the top areas in the nation for number of species counted. 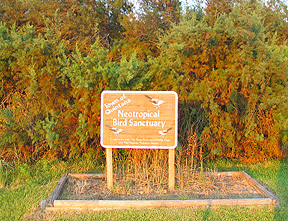 Many parks have been set aside for migrating tropical birds, such as the Neo-tropical Bird Sanctuary in Quintana, adjacent to Quintana Beach County Park. Port Freeport boast one of the largest and fastest growing deep water ports in Texas. New projects such as the deepening of the channel to 60 feet, the new berthing areas, and the building of the on-dock refrigerated warehouse, Port Freeport continues to expand and move forward. Centrally located on the Texas coast, transportation by inter-coastal waterway, rail and highway make Port Freeport one of Texas major ports. 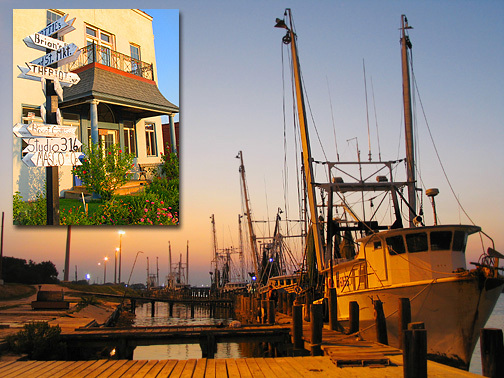 Whether its offshore fishing for red snapper, tuna, wahoo, tarpon and even marlin, or bay and jetty fishing for redfish, speckled trout and flounder, there is no doubt that Freeport is one of the top fishing locations on the Texas Coast. So, check out the guides below and book your fishing trip of a lifetime, soon. Texas Deep Sea Fishing from Freeport & Galveston, Texas. Head offshore in the Gulf of Mexico for Texas deep sea fishing at its best. From bottom hugging snapper to high flying Mahi Mahi, DoDaBlu boats 'em all. Whether you prefer fighting trophy fish close to shore or prefer an offshore deep sea adventure, Reel Threel Charters will have Capt. Mike Segall demonstrate his fishing experience, and put you on the fish. Fishing guide services for Galveston Bay and offshore in the Gulf of Mexico Galveston & Freeport Texas Saltwater Fishing Charters Trips Available 7 Days a Week (Weather Permitting). Les Bon Temps - Gulf Fishing Charters & 2 Bayous Fishing Charters have merged together to provide you with the best Offshore, Bay and Near Shore fishing that Texas & the Gulf Coast has to offer. Welcome to Capt Leaf's Fishing Guide Site. The South Texas Fishing News is in it’s eighteenth year. John’s respect for the ocean, his love of fishing, and his skill at writing manifested itself in this publication. He was so proud to have the opportunity to publish a newspaper that targeted the "average Joe", the pier fisherman, the "weekend warrior". The warm waters of the Gulf of Mexico make for fantastic fishing. We take you to the heart of the action. The features and capabilities of our boats make it possible for overnight runs further out into the Gulf. This site will provide you with a Network of sites providing Free information such as Listing of Fishing Guides, Weather Forecasts, Buoy Observations, Fishing Reports, Hotspot Maps, Tide Information, Offshore Oil Rig Details, and much much more!! Deep Sea Fishing & Diving Trips, THE AREA: The Galveston, Texas, Surfside Texas, Freeport Texas, area of the Texas ,Gulf coast has long been known for its excellent deep sea fishing. Underwater Expeditions can accommodate you. Galveston Fishing Guides Capt. Alan and Capt. Steven offer inshore Galveston Fishing Charters and Galveston Fishing Trips on Galveston Bay in Texas. They specialize in individual, corporate, kids, friends and family oriented private chartered trips. On Oct 26th the moonrise coincided with the sunset and clear skies. I knew the sun would set at 6:41 and the moon would rise 14 minutes later, so I positioned myself on the west side of the San Luis Pass pier and waited for the moon. After a few minutes a large full moon started to appear, after a minor adjustment to my position I started recording the scene with my Canon XH A1 video camera, I also shot some still images as well. Although, I didn't get the color in the eastern sky I was hoping for, the impressive blood red moon had all the color the shot needed.